There comes a time in every athlete’s career when they need to take a break. It might be the offseason, they might be injured or maybe they just need a rest to recover after a long stint of training. 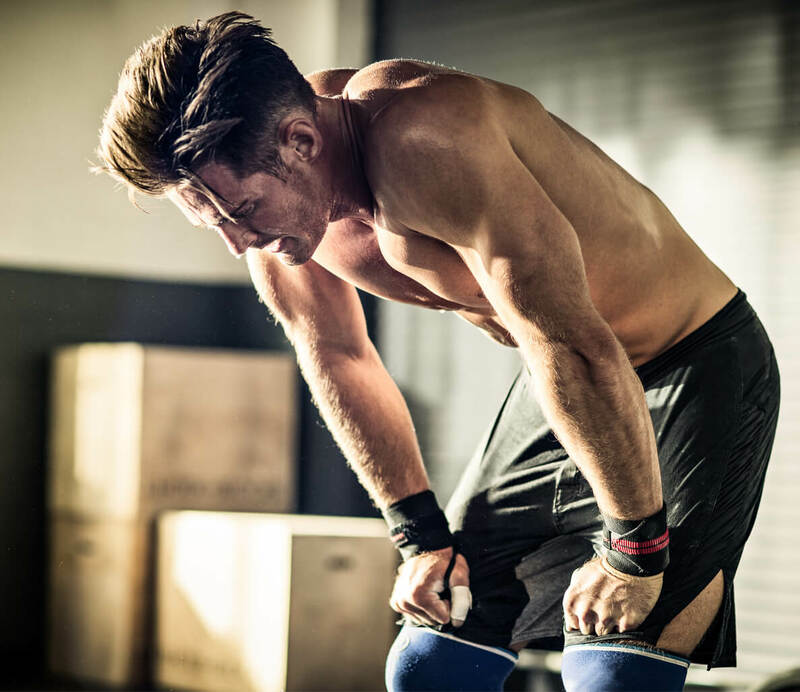 Whether you’re a professional athlete, regular gym goer or just play a lot of sport, rest is important, sometimes it may even be forced upon us through injury. Here are some tips on how to maintain muscle and fitness levels when you’re on a break. According to the guys at MUHDO the answer to these questions depends on multiple aspects; a few of these aspects impact us through things we can change and others are things we can’t. Here we give you some tips to prevent/slow down the loss of physical attributes from training. These aren’t in any particular order, but you should place emphasis upon nutrition being a key role, especially when it comes to maintaining muscle mass. Fortunately, 3 out of the 4 factors are under your control, with the exception being genetics. Genetic variations are the foundations for nearly all physical characteristics in our bodies. If you have some fortunate variants in Myostatin (MSTN), Leptin receptor (LEPR), Alpha-actinin-3 (ACTN3) etc. You will find that your muscle mass and physical strength/stamina remains pretty high even without consistent training. Even though base genetics may not be “changeable” the amount in which they express or “work” can be amplified or suppressed by things we eat, medicine/drugs we take and what we do. Therefore even though genetics at birth may not be under your control at least with lifestyle changes and knowledge of your DNA you can make changes to maintain those precious physical attributes you have worked for. Here are some tips to keep you in good shape if you’re injured or just taking a break from training. 45-55kg (weight) – 8g BCAAs (4:1:1), 5g Glutamine, 60g general protein* intake. 55kg-80kg (weight) – 10g BCAAs (4:1:1), 10g Glutamine, 75-100g general protein* intake. 80kg+ (weight) – 15g BCAAs (6/8:1:1), 15g Glutamine, 100-150g general protein* intake. * General protein should have a full essential amino acid profile. Those who are not injured can follow the same as above, although you could drop the glutamine intake. Those with certain gene variants utilise protein better than others and therefore the BCAAs do a great job of keeping these important building blocks in the body abundant even in those who do not utilise protein as effectively. General activity should include some exercise, it doesn’t have to be regimented or a planned gym session. Just make sure you are moving, even cooking, walking to the shops, take the stairs instead of the lift etc. Why not throw in some press-ups, body-weight squats etc. in the TV adverts? Muscle atrophy occurs quicker when we are inactive and as we have previously stated more than 20 million people in the UK are physically inactive, so try to keep moving. Those in manual jobs will maintain muscle better than those in office jobs more often than not. But what if you’re injured? If you have an injury that takes out a body part, like an arm or a leg, the best thing you can do is work the opposing side. Studies show that working the opposing side creates neural activity on the side not being used as well, whilst the muscle activity is not the same, at least it will maintain strength (to an extent) in the injured limb! Get some quality sleep; it is highly important that you help maintain correct hormone levels. Getting at least 6-8 hours of quality sleep a night will help maintain growth hormone levels, which is highly important to maintaining muscle mass and tissue repair when injured! Keeping your micronutrients topped up! Whilst keeping protein levels up are important it is not as vital as when you were fully training. Certain genetic variants cause us to easily become deficient in B vitamins, Vitamin D, Magnesium, Vitamin A, Zinc, Iron etc. the list goes on. If you have had a gene test done you will know exactly where you need to fill the gaps to keep your body healthy and therefore maintain muscle and physical ability for longer. If you have not had one done you will need to make sure that your diet is highly varied and that you top up on certain supplements if you environmentally don’t gain them. For example, if you are lactose intolerant you may have a calcium deficiency from the avoidance of dairy or if you live in an environment with little sun your vitamin D levels may suffer. All micronutrient deficiencies can lead to disease, hormone imbalances and some to psychiatric issues. There you have it, some tips to help you maintain physical attributes when on a break or when you’re injured. Maybe now you can go and enjoy your summer holiday without worrying about finding a gym…. This blog post was created by MUHDO, it is a follow-up to Building the code – DNA & Bodybuilding.